This is like watching the horse races. Will your horse take the lead? 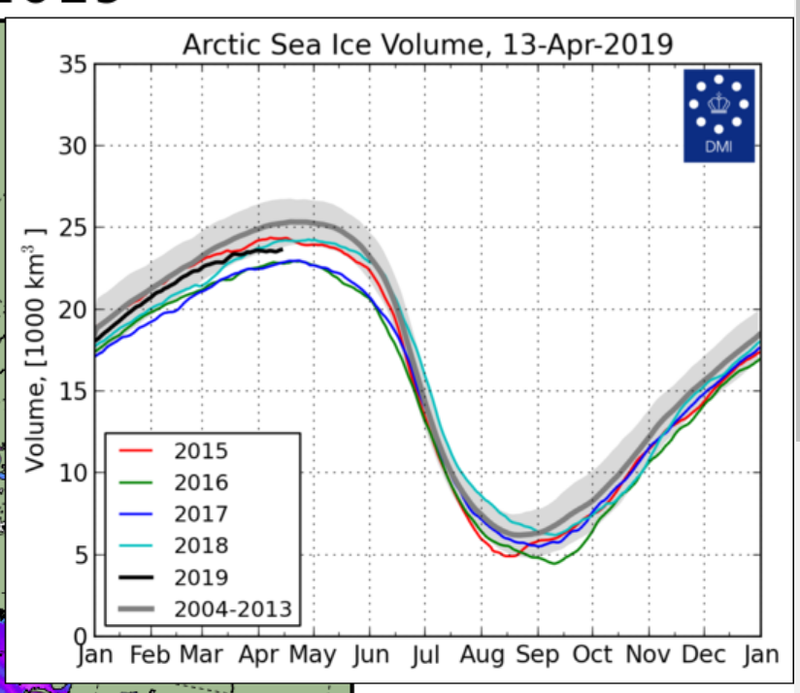 I've been waiting every month for the Arctic ice volume, and this is EVERY DAY! Right now the volume is ticking a bit higher. Will it hit the old band? I'm tired of all those 'Arctic Melting' articles from 3 years ago. Get with the times, bro! Here and now. We are freezing, the Arctic is at -30 and the ice volume is going to break new records. Take that CBC! Too much excitement. Will that infinitely tiny tick at the end continue? Is there day trading in ice volume? Yeah. I'll gladly pay the carbon tax, just to watch justin fall into a big ice crevasse (with a rope). Neato. used 50 cubic meters more to heat my home this year over last year... cause it's been colder for longer, including today!! "I think you should join the Extinction Rebellion. :)"
not a way in hell!